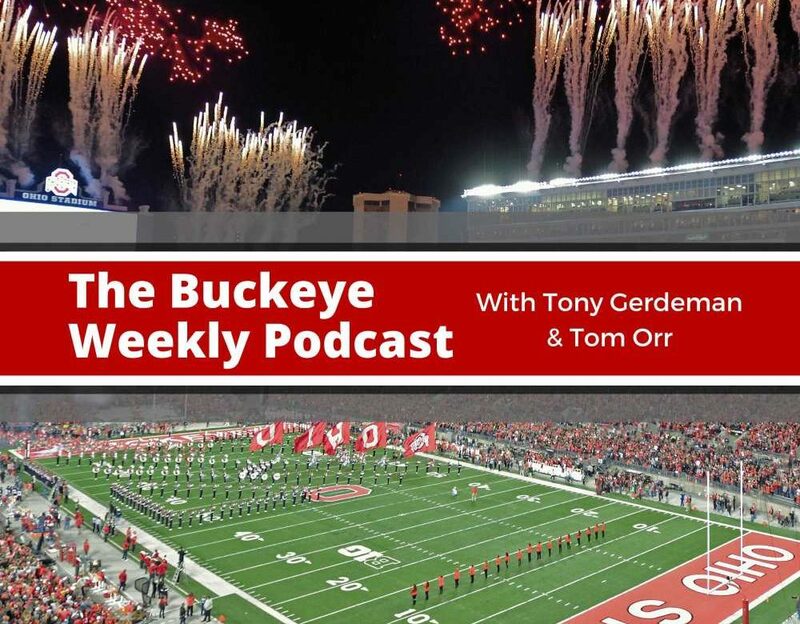 In this episode of the Buckeye Weekly Podcast, Tony Gerdeman and Tom Orr talk about Saturday’s Ohio State spring game. First, however, they address Kaleb Wesson’s decision to put his name into the NBA Draft process. The fellas then move to football and three names that head coach Ryan Day mentioned Wednesday as young standouts throughout camp. The spring game is also previewed, including the rules and setup that you should expect to see on Saturday. All of this and much, much more. + Greetings from the mobile studios. + Make sure to read Tony’s personal blog at sadtony.blogspot.com. + Kaleb Wesson is putting his name into the NBA Draft. + This doesn’t mean he’s going to leave for the NBA. + Chris Holtmann seems to expect him to return. + There’s no harm in getting more information for a player. + How much longer does Wesson have at Ohio State? + He’s not going to get much more athletic. + Europe is not a failure, at least in terms of professional basketball. + The Spring Game is this weekend. + What kind of rules should you expect? + The stars aren’t going to play much. + Who won’t be playing? + So much has changed since last year’s spring game. + The offensive line should not look great. + If the offensive line does look great, panic about the defensive line. + Don’t put too much stock in Saturday’s results. + Joe Burrow had better numbers in the game last year. + Ryan Day mentions three young players who have emerged from the shadows. + We’re not trying to hype up Garrett Wilson. + Hopefully Wilson has a big day on Saturday so that we look somewhat smart. + Don’t expect big numbers from Garrett Wilson this season, please. + Wilson is working on his blocking. + Who is an All-American first: Zach Harrison or Garrett Wilson? + Tom doesn’t think much of Garrett Wilson as a pass rusher. + Where Austin Mack is playing in November depends on Wilson. + Now it becomes Garrett Wilson at Z vs. Jaylen Harris at X to determine Austin Mack’s fate. + Chris Olave may not play on Saturday. + The Zs will be running the ball this year…or at least on Saturday. + Urban Meyer taking advice from reporters. + Keep an eye on Marcus Crowley (No. 23) and Xavier Johnson (No. 49). + If you’re on defense and haven’t been with the ones, you may not play this year. + Zach Harrison’s performance at Friday’s practice was very impressive, but he’s not going to start this season. + Ryan Day really likes Nicholas Petit-Frere. + Yes, these are touch sacks, but the fact that Zach Harrison is already making an impact is impressive. + Zach Harrison has exceeded Tony’s expectations. + Larry Johnson doesn’t need a lot of time with great raw materials. + Harrison is already ahead of the Bosas and Chase Young in terms of his arrival on campus and learning from Larry Johnson. + Harrison should/could have similar numbers to Chase Young when Young was a freshman. + Javontae Jean-Baptiste was also impressive during the scrimmage. + Over/Under for Zach Harrison sacks on Saturday is 1.5. + Tom is a Zach Harrison fanboy. + Ryan Day is looking forward to seeing what the DTs look like on Saturday. + Tony is looking forward to seeing Tommy Togiai. + Tom is looking forward to seeing Josh Proctor. + Proctor could make some plays on Saturday. + He could be the next great Ohio State safety. + It could be Proctor vs. Pryor on Saturday. + Let’s see Proctor’s range. + Let’s stop with the Bam Childress meme please. + Demario McCall was awesome in the game last year. + It’s so unfortunate he can’t go yet. + Ryan Day has big plans for McCall. + Let’s talk about Shaun Wade for a while. + They ask him to do everything and he’s capable of it. + He’ll man up a tight end or a slot receiver at strong safety. + Shaun Wade is going to be a cornerstone of the Ohio State defense. + Wade is one of the most important players on defense. + Where will Wade be when Jordan Fuller returns? + Opposing offensive coaches will have to know where he is all game long. + We don’t know that the DB coaches really know what the safeties are going to look like this year. 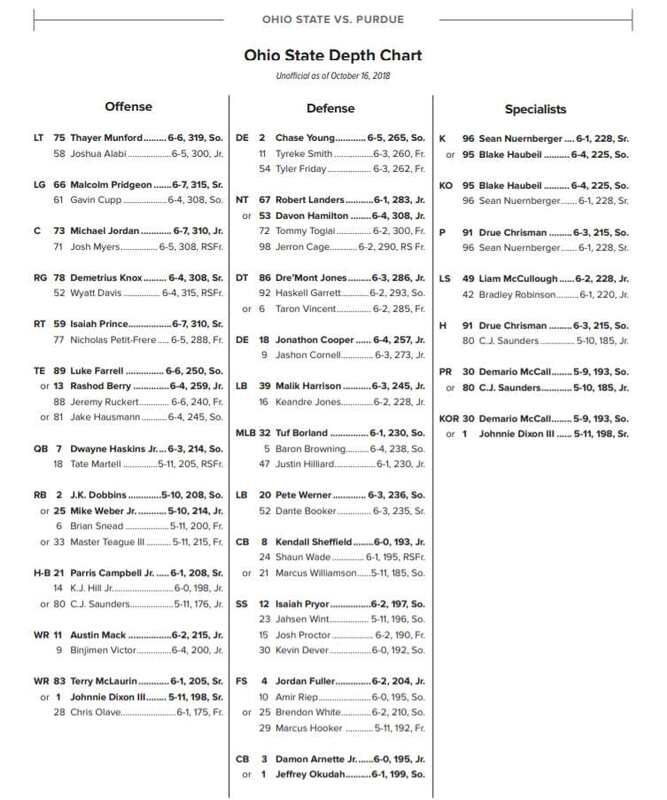 + Putting together a depth chart could be a fool’s errand, but we’re still gonna do it. + Tom’s pick to click as offensive and defensive MVPs on Saturday. + The fanboy strikes again. + Justin Fields is still on the team? + Chugz is a sneaky bet for MVP. + Resale tickets are only $49. + Bring the kids, but don’t expect anything too amazing. Awesome guys. Hey- how are you doing Gerd? Somebody should ask… Suggestion – tell them you’re in the Rolling Stones’ Mobile Studio. It will impress the hell out of them!! !